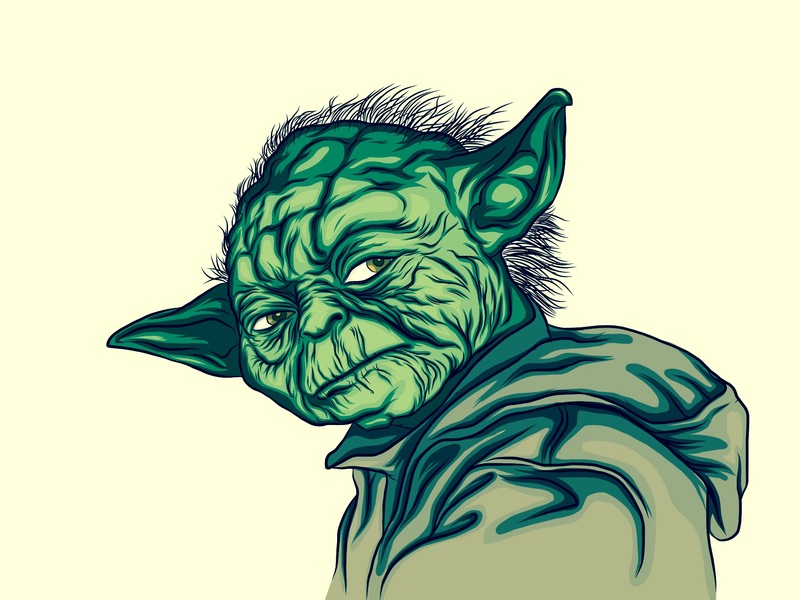 #Illustration of #Jedi #Master #Yoda. Yoda was one of the most renowned and powerful Jedi Masters in galactic history. He was known for his legendary wisdom, mastery of #theForce and skills in #lightsaber combat. Yoda served as a member of the Jedi High Council in the last centuries of the Galactic Republic and as Grand Master oversaw the Jedi Order before, during and after the devastating Clone Wars. Just finished watching the final season of #starwars the #clonewars. The last few episodes of Yoda on a journey to increase his abilities in #theforce are pretty awesome – especially when he has to confront the #darkside version of himself. #Illustration of William James Te Wehi Taitoko MBE, better known by his stage name Billy T James. #BillyT, was a #NewZealand #entertainer, #comedian, #musician and #actor. He became a key figure in the development of New Zealand #comedy, a household name during his lifetime, and remains an #icon to the present day. The Billy T #Award was founded in 1997 in honour of James. It is New Zealand’s most prestigious comedy award, recognising #comedians with outstanding #potential. Winners are presented with a #yellow #towel, Billy’s trademark from his “Te News” sketches. It’s a great time to leave our shores for the sunny paradise of the pacific as it is the middle of winter right now. Although it’s not really that cold it’s just a little miserable being stuck in this damp, wet, windy and cold weather. **Update: Since I wrote this post Mariah has been at BYU Hawaii for over 3 months now. Loving the life there I bet! Today’s portrait is of our friend, Nicole Meyer, who we have met through church. Nicole is Jay’s wife and they have moved to New Zealand (over a year ago) from North Carolina, USA after he and his wife completed their Medical degrees. Nicole also works in the health sector as a Doctor at the Auckland City Hospital. Jay and Nicole have a son, Max who is 2 years old and have also brought Nicole’s niece Mariah with them on their adventure here in New Zealand. Unfortunately when I took their photos it was late in the evening and the lighting was…. far less than desirable. However I am still relatively happy with how they’ve turned out. I didn’t end up following through with my 100 days project to the end as I lost control of my time-management and started focusing on our upcoming trip to the U.S.A and then all the time we actually spent there. So what I am doing now is finishing up with all those that I DID manage to take photos of so I can complete it and put it to rest until next year. Day 08 belongs to a new friend Jay Meyer who I have met through church. Jay and his family moved to New Zealand from North Carolina, USA after he and his wife completed their Medical degrees. Jay is an eye surgeon (Ophthamologist?) and works here in Auckland at the Greenlane Hospital as well as guest lecturing at Auckland University. Ophthalmologists are doctors who are trained in the treatment of diseases of the eye. Most will be trained in eye surgery and most nowadays have specialised interest in a particular part of the eye, for example, the cornea, the retina, the eye lids or muscles that control the eye movements. WOW – When I go on holiday I really go on holiday don’t I! It’s been a few months since my last post and the time has long since past for me to get back into posting some work and updating the ol’ blog! Let me begin with a post from my Instagram account (feel free to follow) back on October 17 – www.instagram.com/tukaramatthews . This day is an important one for my wife and I as this is our wedding anniversary – this year also happened to be our 5th wedding anniversary. Perhaps 5 years isn’t too long in an eternal perspective but I definitely see it as an achievement and you’ve gotta celebrate the small wins right? It has been an awesome rollercoaster ride the last 5 years of marriage and having a little boy – I can’t imagine doing anything else though and it would be an empty life without my beautiful little family! 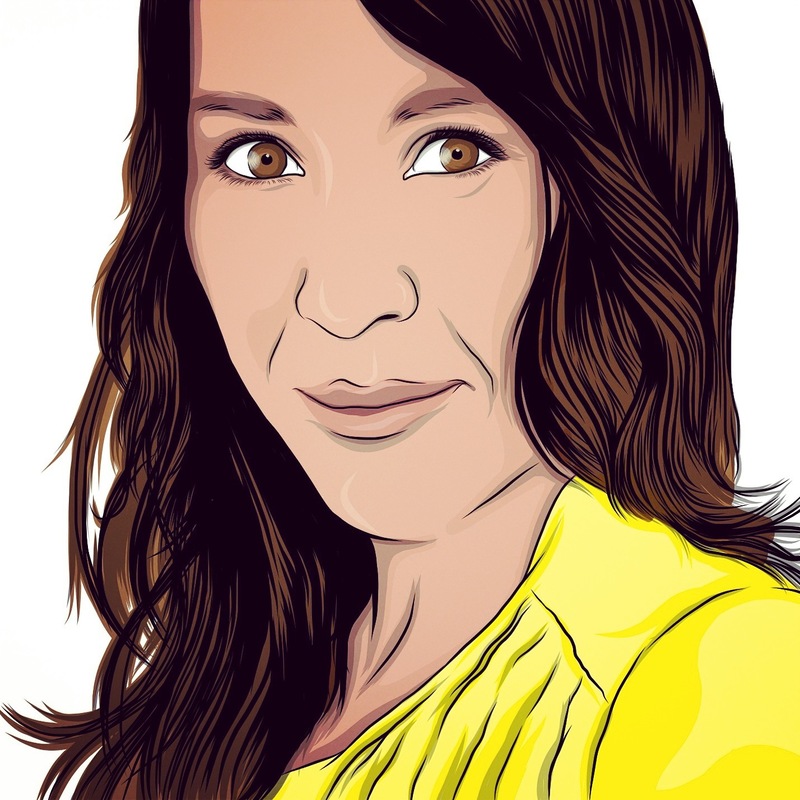 So this is one of my more recent illustrations and probably the first one of my wife! I’m always a little scared to draw people close to me because I don’t want to offend them if it doesn’t turn out to be the greatest illustration. Time to get back into the illustrations and take a break from the freelance work! 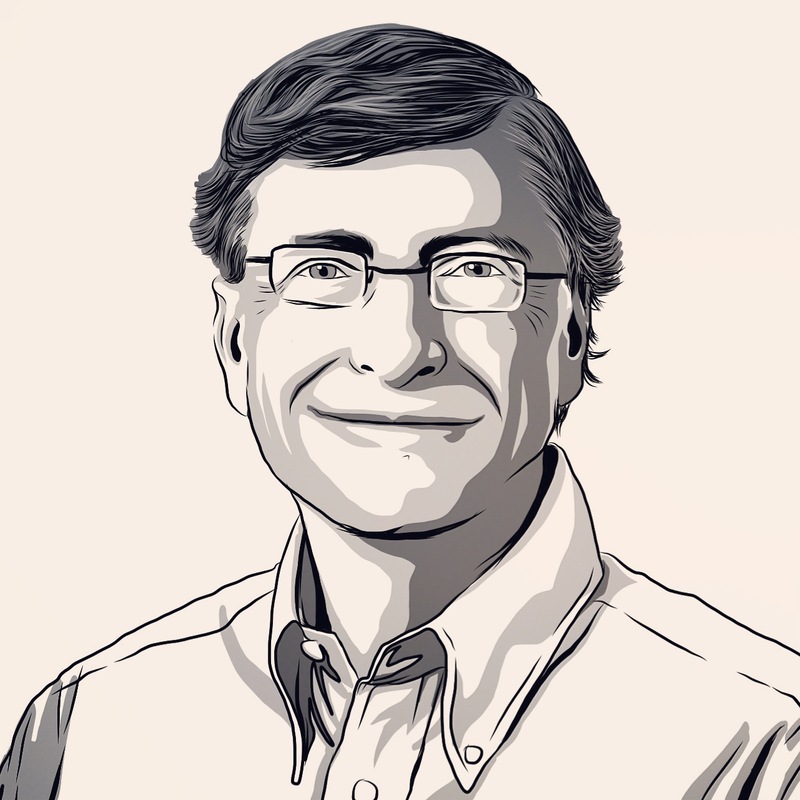 #Illustration of #BillGates. Although I ride the #apple and #mac train you can’t deny the #massive impact this #legend has had on the world. I’m a big fan of the #philanthropic work he and his wife do through their Bill & Melinda Gates Foundation. William Henry “#Bill” #Gates, III is an #American #business magnate, #philanthropist, #investor, #computer #programmer, and #inventor. Gates is the former chief executive and chairman of #Microsoft, the world’s largest personal-computer #software company, which he co-founded with Paul Allen. He is consistently ranked in the #Forbes list of the world’s #wealthiest people and was the wealthiest overall from 1995 to 2009—excluding 2008, when he was ranked third; in 2011 he was the wealthiest American and the world’s second wealthiest person. According to the #Bloomberg #Billionaires List, Gates became the world’s richest person again in May 2013, a position that he last held on the list in 2007. As of June 2014, he is still the richest. During his career at Microsoft, Gates held the positions of #CEO and chief software #architect, and remains the largest individual shareholder, with 6.4 percent of the common stock. He has also authored and co-authored several books. Gates is one of the best-known #entrepreneurs of the personal computer revolution. Gates has been criticized for his business tactics, which have been considered anti-competitive, an opinion which has in some cases been upheld by judicial courts. In the later stages of his career, Gates has pursued a number of philanthropic endeavors, donating large amounts of money to various charitable organizations and scientific research programs through the Bill & Melinda Gates Foundation, established in 2000. Gates stepped down as chief executive officer of Microsoft in January 2000. He remained as chairman and created the position of chief software architect for himself. In June 2006, Gates announced that he would be transitioning from full-time work at Microsoft to part-time work, and full-time work at the Bill & Melinda Gates Foundation. #Illustration of Willis Haviland #Carrier. He was an American #engineer, best known for inventing modern air conditioning. For his contributions to #science and #industry, Willis Carrier was awarded an #Engineering degree by Lehigh University in 1935 and an honorary Doctor of Letters degree by Alfred (NY) University in 1942; Carrier was awarded the Frank P. Brown Medal in 1942; and was inducted posthumously in the National #Inventors Hall of Fame (1985) and the Buffalo Science Museum Hall of Fame (2008). He also coined the phrase ” a cold day in hell ” on his death bed October 7, 1950. Today’s portrait is of one of my work colleagues – Elaine. She is also a designer here at Yellow and like myself is interested in all things designy. Some of her interests are art, magazines, graffiti, interior design and of course… clothes. Something interesting about Elaine is that she left school when she was only 15 years old! We tried shooting outside around 4 to 4.30pm. Although the light was reasonable it probably wasn’t the best idea shooting at that time as the shadows were quite harsh. In retrospect, a reflector of some sort would have been really handy to knock back some of those harsh shadows. The background isn’t the greatest either so I’ll have to keep looking around work to see if I can find a better location. It’s all a good learning experience either way and I managed to get some good shots under the less-than-desirable conditions. Another thing Elaine and I have in common is… Pinterest! I have to admit that when I first heard of Pinterest I didn’t want to join the network as it seemed it was ‘for girls’ (such a primary school boy attitude) and seemed to be swamped with a ton of pins that would generally appeal only to women. However, I did end up joining it due to it’s ability to provide some awesome inspiration and now I must confess I am a bit of a Pinterest fiend. Feel free to follow my Pinterest boards by clicking the Pinterest logo under the ‘Follow me Socially” header in the sidebar. Oh one more thing we have in common is our love of the NZ artist, Shane Hansen’s work. Check it out – You’ll love it too if you don’t already. Alrighty – So today’s lucky headshot individual is my little brother, Haroma. As I mentioned yesterday, he and his wife have been staying with us the past couple of days while Tamara attended a course at Auckland Uni as a part of her post-grad teaching diploma. Writing about an individual is difficult for me on any occasion, however today it’s not because of a lack of information but rather an over-abundance! Today I have to try and siphon out information that you don’t need (which is most of it) and only include the important. Haroma is a Pisces who likes to read books by the fire and enjoys long walks on the beach. Ok serious now – Haroma is a personal trainer in training. He is the youngest in our family of 9 children and as such has spent most of his life being told what to do by his parents and his 8 other older sibling/parents. After spending 2 years serving a mission in central region of the Philippines he is now a confident speaker of Cebuano, Ilonggo (Hiligaynon) and maybe another language? Haroma is a very kind-natured and fun-loving person – I’m pretty sure he loves laughing and you may have even heard his booming laugh at some point, perhaps while visiting a neighbouring city, as it is quite loud in comparison to his other siblings. Anyway he’s got some brownie points for letting me use him and his wife as models for my project so I guess I’ll let them come and stay again next time they’re up here. Enjoy your portraits bro – I expect to see them take pride of place in your social profiles and framed on the wall next time I come to visit.